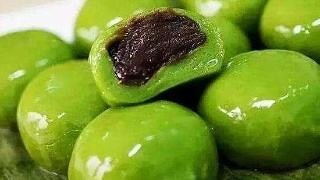 There is a kind of glutinous rice flour ball stuffed with red bean paste or pork floss called 青团 (Qing Tuan) in China. I love it very much. Actually, I love almost all kinds of dessert made from glutinous rice flour. They taste very chewy. I love the texture and the flavor. Too pity, there is no Qing tuan here in Singapore. I only can eat them when I go back to China. Luckily, I found a desert very similar to Qing Tuan. And that is ang ku kueh. I’m very surprised I didn’t try it in the past 3 years. It’s still not too late to find them now. They taste very like Qing Tuan. Filling inside is a bit different. 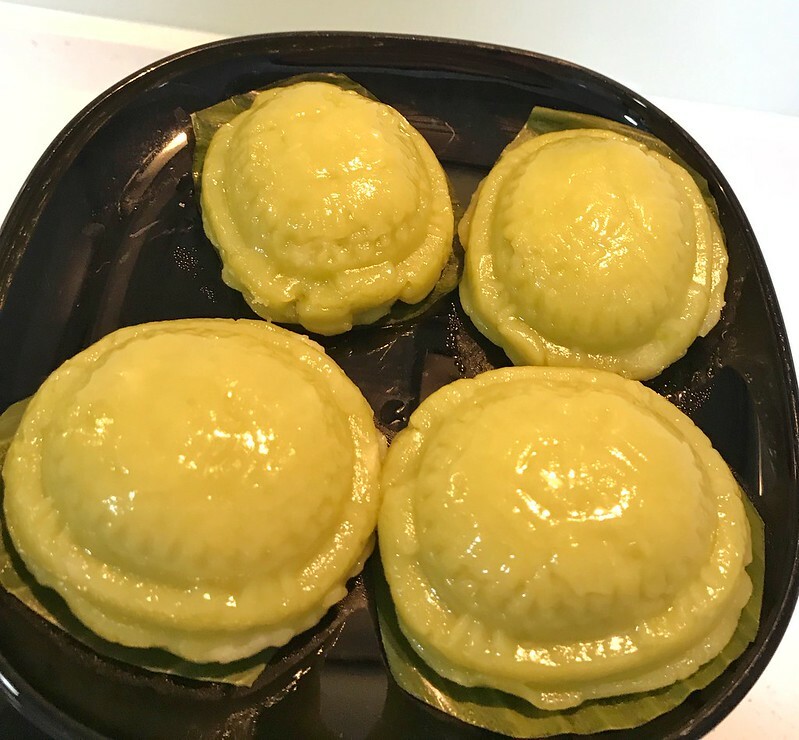 Ang ku Kueh has green bean paste, yam, peanut and coconut. And they have different colors. On the contrary, Qing Tuan only has one color- green. Because Qing means green in Chinese. Tuan means things in ball shape. 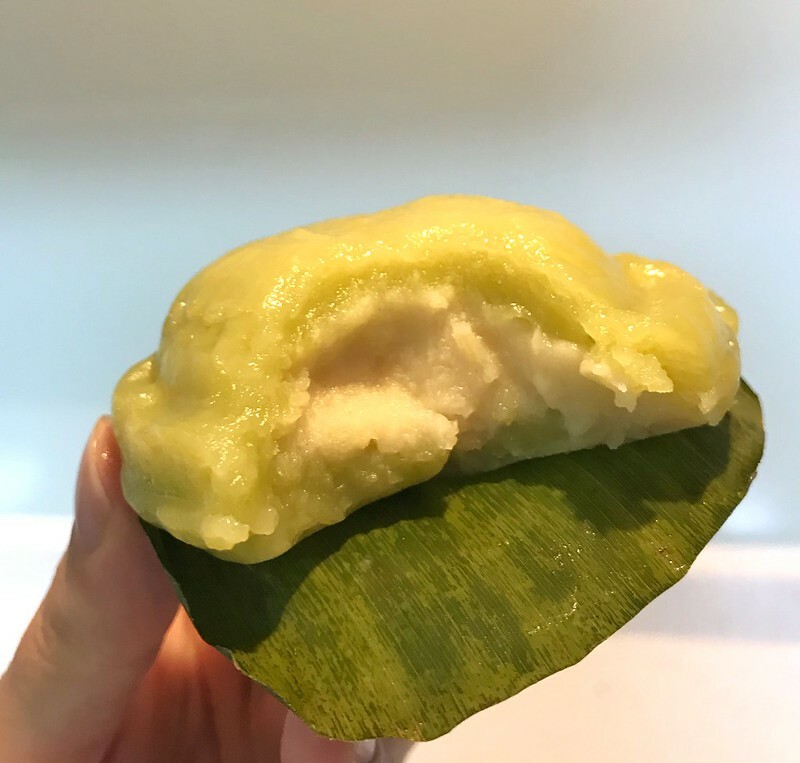 My husband is also a fan of ang ku Kueh, Which is very odd, because if he likes ang ku kueh, how come he never suggests me to try this dessert. And of course, he will always say: “I told you. I also bought some for you. You just don’t remember. ” Yo, dude. I may forget things sometimes. But when it comes to food, my memory will be super super good and I can remember super super clear. And the answer is NO! ! ! You didn’t even mention that you like ang ku kueh before. I guess I will need to improve it next time. I definitely have to try these out! Following your blog for more great recipes 🙂 I made some delicious apple pockets which are a great treat for Thanksgiving, so I recommend checking these out!